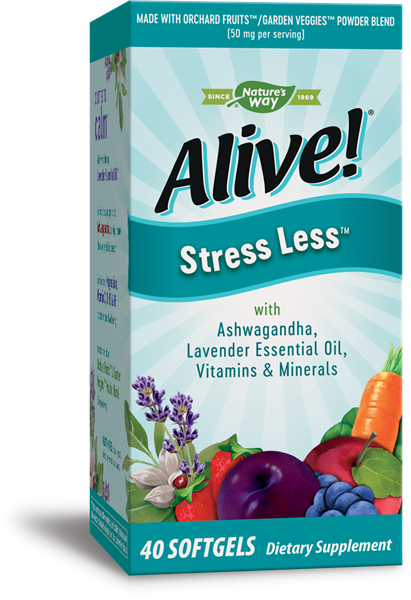 Alive Stress Less - Nature's Way®. Adults: Take 1 softgel twice daily with water and food. Do not use if you are pregnant, or if you are under 18 years of age. If you are nursing, are diabetic, or are taking any medications, consult a healthcare professional before use. Burping with a mild lavender aroma has been reported in a small number of users.